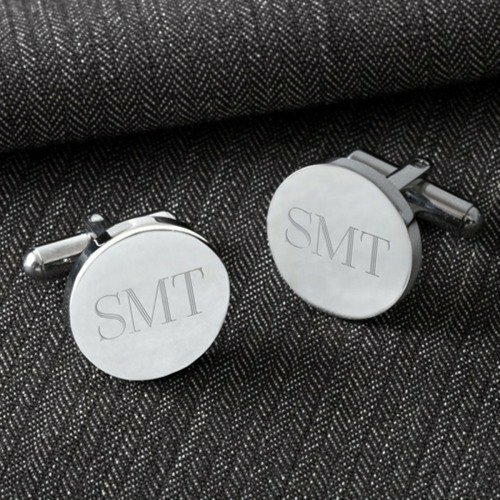 These personalized round cufflinks are the perfect wedding accessory for any groom or groomsmen. Choose between the classic round option or our pin stripe option which features engraving and a thin black inset stripe around the perimeter for an extra classy look. It's a handsome accent for men's wedding attire and can be worn over and over again to spruce up any formal wear.